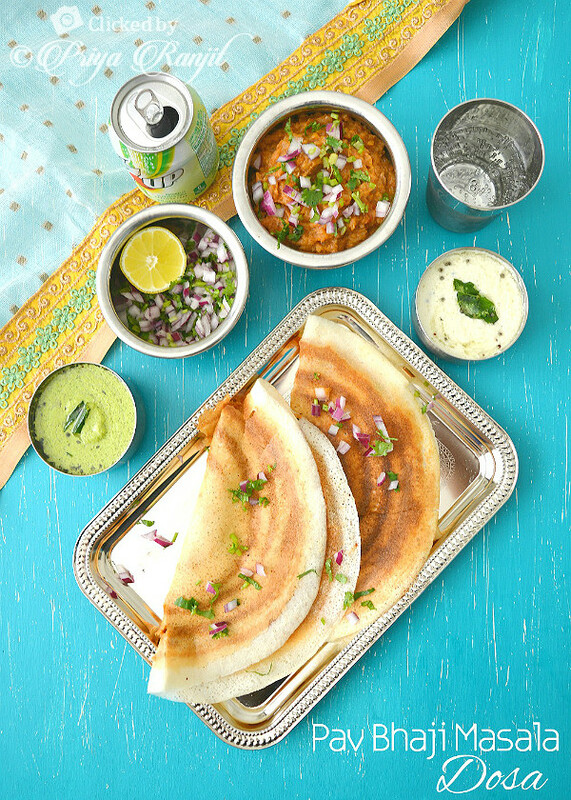 Pav Bhaji Masala Dosa, is a real good twist to our usual masala dosa recipe. 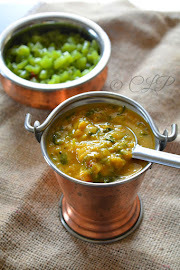 Its spicy, tasty, tangy and perfect to break the usual routine of plain dosas. We South Indians love our dosa and idly, its a life saver in the kitchen, weekly preparations of dosa batter is a staple even in our home. I never knew the whole techniques when I was at my parents place. Its only during my trial and errors did I actually learn to make perfectly crisp dosas, idlies, utamppam, paniyarams and so on. 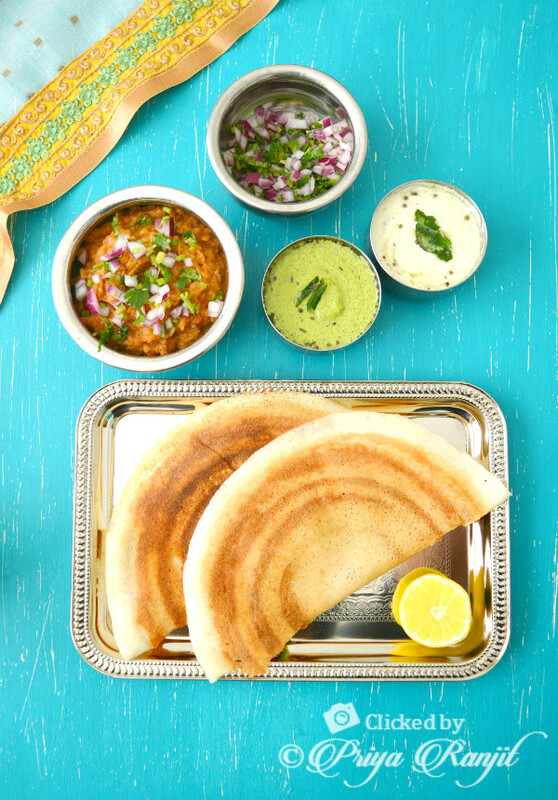 The recipe can get endless when it comes to dosa batter. I have hardly blogged about them that's because we usually have dosas idlies and the likes for breakfast or dinner and its like a rush hour marathon I hardly have the patience to sit and click pictures. But I am determined to post them beating the odds ;-). Now lets move on to the recipe. 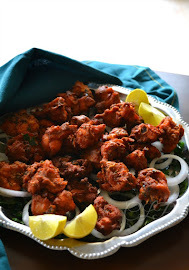 bhaji masala ahead and you are good to go. 1. Wash and soak Urad dal and idly rice with the fenugreek seeds overnight. 2. Grind urad dal with less water to help grind using a mixie set aside in a bowl. 3. 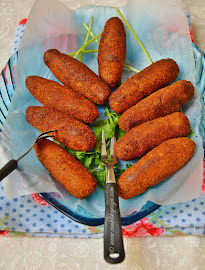 Grind the idly rice in batches with little water at a time to make a smooth batter. 5. Cover and set aside in a warm place to ferment around 6-8 hrs. Prepare dosa batter and set aside. 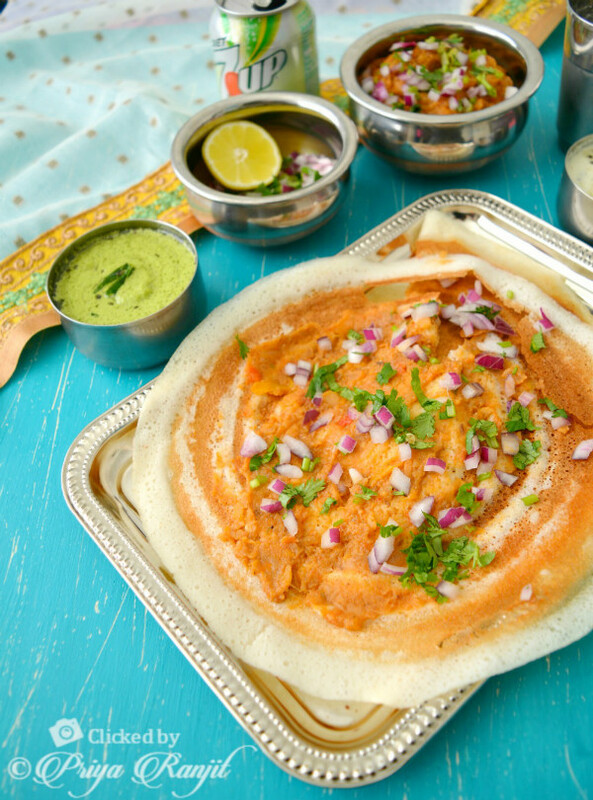 Heat a iron skillet or non stick dosa pan and rub with oil using a cut onion. Drop a dollop of the dosa batter and make a thin crepe like dosa spreading the batter evenly and as thin as possible. Add 2 tsp of oil on the dosa and as it cooks 70% add in 1 tbsp of the pav bhaji masala and spread it on the center and around the dosa. Sprinkle chopped onions and coriander minced on top and fold the dosa. Use a really hot iron skillet to make perfect crispy dosas. 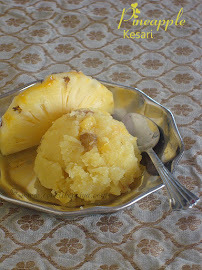 Oil or ghee can be used as per your preference. Usually when you have a grinder the proportions vary for urad dal and idly rice but while using a mixie to grin dosa batter I find this 1:3 (urad dal:idly rice) works best for crispy dosas. wow..super crispy and tempting masala dosa, i too have tried this one with left over bhaji masala :) inviting pics and presentation Priya !! 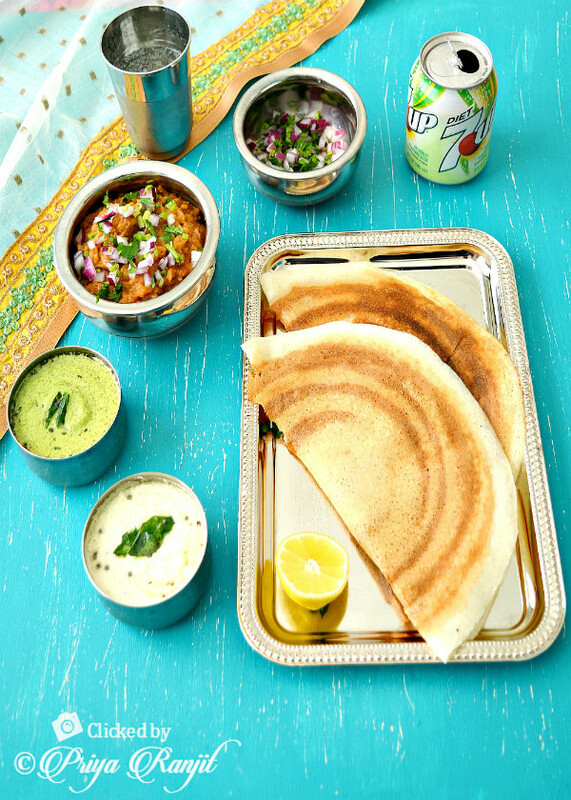 Loved the idea of using pav bhaji masala for this masala dosa! Very interesting twist to the regular masala dosa! 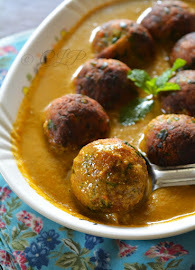 Looks super yummy da.. Love the presentation da! 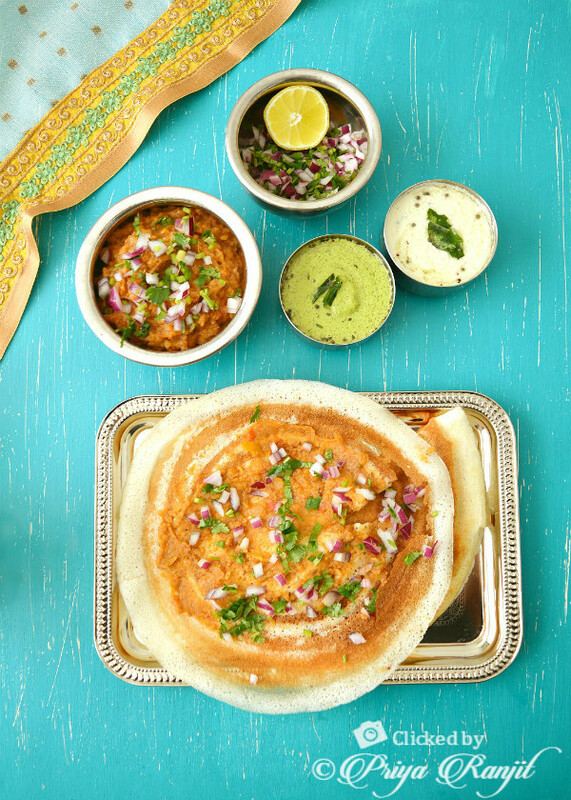 The dosa looks awesome Priya, love this pav bhaji version..